Over 33 Years of Experience. With over 33 years of business and systems integration experience, The Sights & Sounds Company is the solution to a home designed for lifestyles of today as well as being prepared for the lifestyles of tomorrow. The Sights & Sounds Company is the leader in home integration. We specialize in the installation of structured wiring, house music, lighting and climate control, home theater, security/fire, home automation, and much more. Always staying on the cutting edge of technology, The Sights & Sounds Company meets the ever changing needs of our customers. Keeping your family and property safe in today's world should be your top priority. The Sights & Sounds Company can design, install, and monitor the perfect security system to give you peace of mind while you are home or away. Our alarm systems can include motion and glass break detectors, door and window sensors, fire and carbon monoxide detectors - we offer it all! 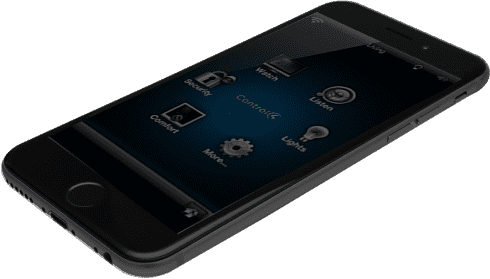 With the ability to have remote access to your system through your mobile devices, you can arm and disarm remotely and get notifications on your cell phone. Don't wait until it's too late, contact The Sights & Sounds Company today and let one of our certified security experts design a system to keep your loved ones safe and secure. Our consultation is free and we work around your schedule. Have you ever wished you could listen to music in any room in your house and not have to drag that small Bluetooth speaker around and hope you remembered to charge that batteries? How about wanting better quality sound without the worries about where the speakers were left last? Wouldn’t it be nice to simply pick up your phone and listen to the most amazing sound system right in your own house? Or sit on your back porch and enjoy some tunes? Well, now that can happen for you. The Sights & Sounds Company can design the perfect system to meet all of your audio wishes. Contact us today so we can meet with you to discuss the best quality sound system for your living room or your entire house. Don't just watch TV when you can experience your favorite program or movie! Let the Sights & Sounds Company get the best video system for your room. Whether that is mounting a TV and hiding the cables in the wall to give you a clean and professional look, or installing a projector and screen and giving you the ultimate theater viewing experience, we can design a system to give you the best view for the specific sized room you have. Contact one of our expert team members today and we will have you inviting all of your friends to your theater tomorrow! And remember, the consultation is free and we come to you. The Sights & Sounds Company is your best choice for your new TV or projector. In today’s digital world, a robust network is a must in your home or office. With our wide selection of networking brands, we can select the right equipment to keep you running smoothly. Let The Sights & Sounds Company design a more powerful network to boost your Wi-Fi throughout your home or business so you and everyone else can enjoy the lifestyle you want. Contact one of our networking team members so we can design a system where you can stay connected. Today's smart home options are almost unlimited. Wherever you go there is something new you can add to your home automation system. How about the ability to turn your security system on and off, view your security cameras, adjust your thermostat, turn lights on or off, control your audio/video system--all from one application? 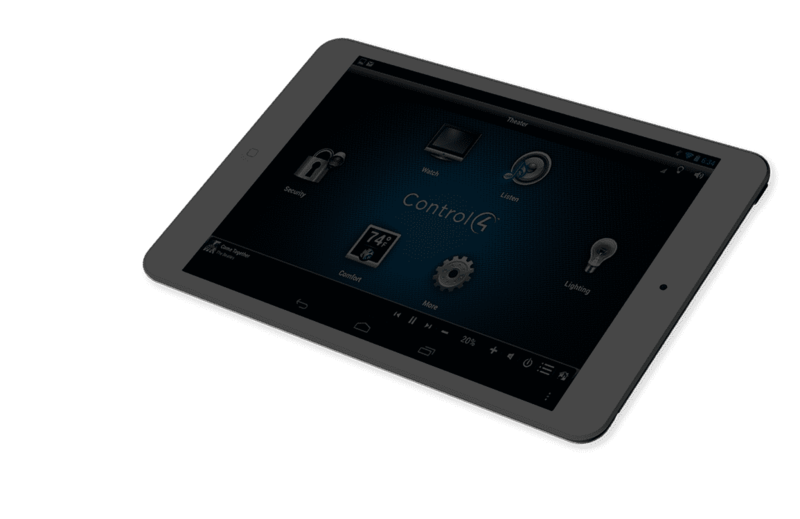 This is just the beginning when you have The Sights & Sounds Company design your home automation system. We can design a system to create an easier lifestyle for you and your entire family by allowing you to control all of your home devices from your smart device. No matter where you are in the world, or in your home. We have the trained team members to design a system for you that will give you access to your home. We can link your home theater system, whole home music system, security and surveillance systems along with lights, thermostats, sprinkler systems and so much more! Contact The Sights & Sounds Company today and then sit back and relax while controlling everything you want from your fingertips. During the building process of our house, our builder contracted with the Sights and Sounds Company for electrical installation only. However, throughout the process we did discover that the company’s capability extended beyond that to include home automation, home security including camera surveillance installation, in-wall vacuum cleaning system, advanced surround sound system installation and electric generator installation. Therefore, we ended up contracting with the company to do all the above. The Sights and Sounds is a multitasking company that rarely exist nowadays. The installation equipment was of high quality. We found the staff very knowledgeable, helpful, professional and friendly. The company prices are reasonable and they performed the job in a meticulous and organized fashion maintaining the extreme high quality performance despite its complexity. We highly recommend the Sights and Sounds Company. S&SC helped us with multiple tech installations throughout the construction of our seaside condo and home renovations. The equipment recommended is top quality, the installers were professional and efficient, and all of our questions like “What do I do with this?” were answered. S&SC also communicated well with the other contractors and the utility companies involved. Our guests, and we. are impressed with the results—from our home gym to home theater, plus the generator and state-of-the-art bedrooms! S&SC helped us with multiple tech installations throughout the construction of our seaside condo and home renovations. The equipment recommended is top quality, the installers were professional and efficient, and all of our questions like “What do I do with this?” were answered. S&SC also communicated well with the other contractors and the utility companies involved. Our guests, and we. are impressed with the results—from our home gym to home theater, plus the generator and state-of-the-art bedrooms! Jon Sheppard and his company, Sights and Sounds, have been working with Sheffield Construction Company for 5 years doing our electrical wiring, alarm systems, low voltage, and sound systems. He and his workmen are great to work with. He communicates well with our staff and homeowners. The work is top notch, fairly priced, and delivered with a smile. We value our mutual working relationship and look forward to many more projects together. Jon Sheppard and his company, Sights and Sounds, have been working with Sheffield Construction Company for 5 years doing our electrical wiring, alarm systems, low voltage, and sound systems. He and his workmen are great to work with. He communicates well with our staff and homeowners. The work is top notch, fairly priced, and delivered with a smile. We value our mutual working relationship and look forward to many more projects together. The Sights and Sounds team has been a lifesaver. I love good technology throughout my home but I’m jinxed with operating it. I’m so blessed to have the Sights and Sounds team because of their very timely responsiveness and quality of service. They make me feel like a valued client even though I’m sure they laugh at my issues! I recommend them 100%.